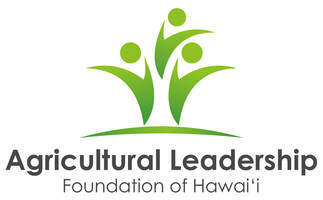 A range of sponsorship levels are available to allow your company or organization to support the 2019 Hawai‘i Agriculture Conference. This year’s theme, AGdaptation: Hawaii’s Growing Opportunity, recognizes that in an ever-changing world Hawai‘i agriculture must adapt to become a viable, sustainable resource that provides rewarding careers, enriches lifestyles, and stewards our ʻāina for future generations. AGdaptation means agriculture in Hawai‘i doesn’t just survive, it thrives. We need your support to make it thrive. Sponsorship proceeds will help fund student participation and farmer/rancher scholarships and defray conference costs. ​In-Kind Contributions will be categorized by value of in-kind donation. Customized Sponsorship Opportunities - Please contact Director@agleaderhi.org to discuss additional opportunities such as the potential to sponsor coffee breaks, lunches, sessions, and more. Exclusive opportunities can be adapted to fit your needs! Sponsor Acknowledgment in the Conference Program Book (inclusion of logo) - featured in the Hawai‘i Farm & Food Magazine October issue as a full-color 32-page insert (Print distribution >5,000, electronic distribution > 100,000). Sponsor Acknowledgment on the Conference Website (inclusion of logo) – featured at https://hiagconference.org with a link to your specified website. * Late submissions will forfeit program book ad or listing benefits.